The comparisons between being spiritually and physically fed are many. But perhaps one of my favorite things about conference weekend is that they can become one and the same. I love being able to be so spiritually edified while lounging in the comfort of my PJs and consuming delicious food. For me, the epitome of this is what I have dubbed the “conference casserole.” Technically, we use it on other events, too—Easter, Christmas, etc. But “conference casserole” just has such a nice ring to it. Last conference, I was so excited about having this casserole that when we finished it before the first session was over, I insisted we make a second one so I could have it again during the second session. Because it’s just that good. And because I want you to be able to focus on the wonderful things the speakers have to say this weekend instead of trying to figure out what you’re going to eat, I’m going to share my mother’s awesome recipe with all of you. Layer hash browns, sausage, and cheddar cheese in a greased 9x13 pan. Combine eggs, milk, salt, and garlic salt together, then pour over the first three ingredients in the pan. Sprinkle chopped green onions over the top. Bake at 350 F for 1 hour (30 minutes covered with foil, 30 minutes uncovered). Let cool 10-15 minutes before cutting to allow casserole to set. One of the greatest virtues of the casserole is that it can be made the night before and refrigerated, then just popped in the oven when you wake up. Perfect for lazy mornings when you roll out of bed five minutes before conference starts. I think the casserole tastes even better when you do let it sit overnight, because the flavors all meld together better. But, of course, it can also be made the day of and put into the oven immediately after combining the ingredients together. Need another recipe to make ahead the night before for Sunday? Try our other favorite, monkey bread. Picture from Rhodes. 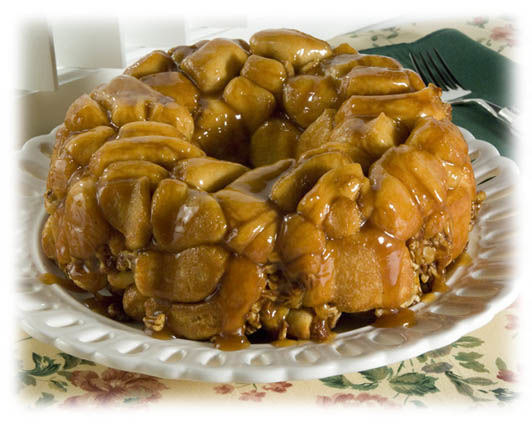 My recipe is a little different, but it ends up looking pretty similar to Rhodes Monkey Bread. Grease a Bundt pan and place frozen rolls inside. Combine sugar, pudding, cinnamon, and nuts together; sprinkle evenly over frozen rolls. Melt butter and pour over other ingredients. Cover with a towel (or coat plastic wrap with non-stick spray and use that instead) and let rise overnight. Bake at 350 degrees F for 25 minutes. Invert onto plate immediately after baking and lift Bundt pan away (otherwise the caramel goodness will cement the rolls to the pan). 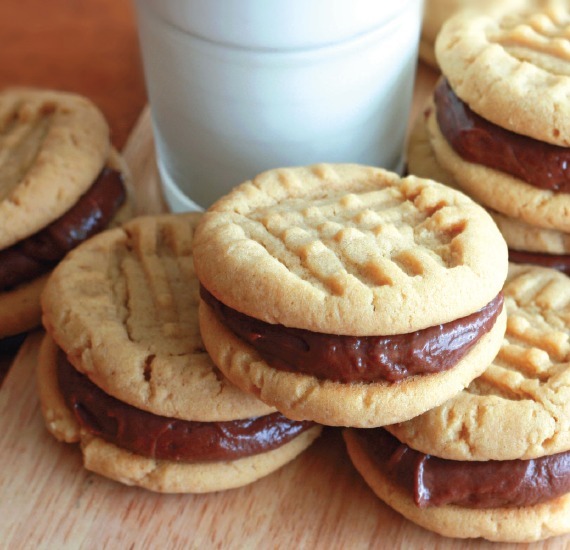 Your turn: Do you have any favorite conference food traditions or recipes? Let us know in the comments below. Kaela Worthen is the associate editor at LDS Living. A self-titled “ultimate grammar nerd,” she also battles serious addictions to news and food websites and a compulsion to dance to the radio while driving.